Waaait a second — that’s no solar panel truss, it’s a fire escape! Ahhh, it looks like I lost perspective. 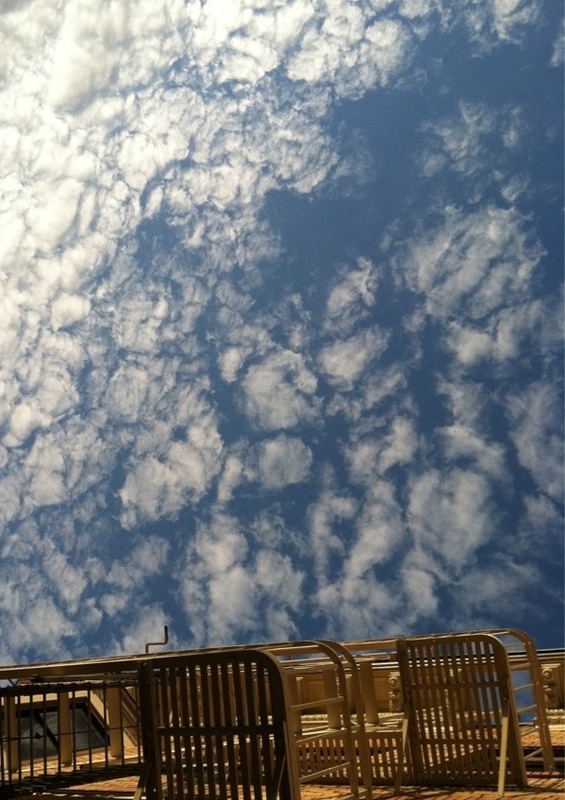 It’s actually a picture of yesterday’s sky over the Mission taken by @eviloars. In other space perspective news, astronauts (and presumably cosmonauts) are building a Lego space station aboard the real space station. And some real (and rather spectacular) pictures from the ISS. Also, Telstar Logistics notes Sunday’s hypnotic video of Endeavour departing the ISS for the last time, with some spectacular shots over Oceana.